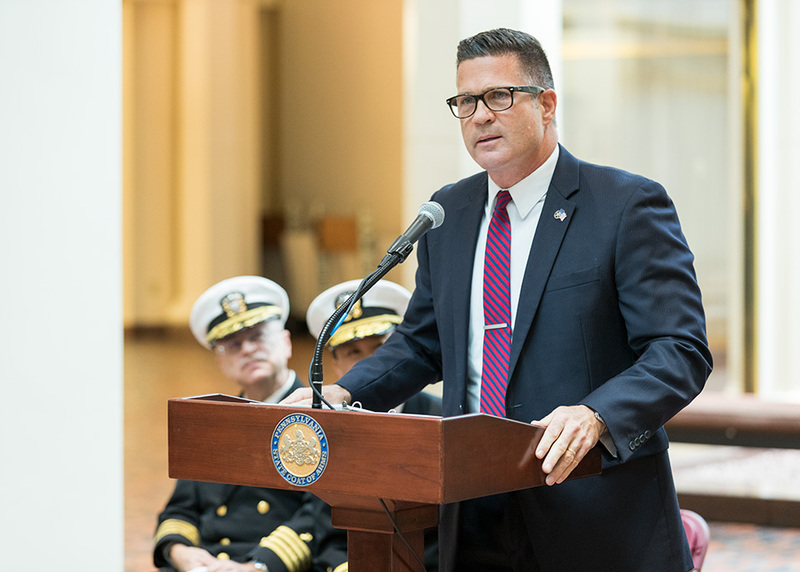 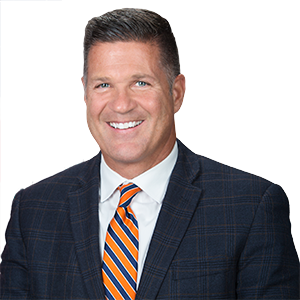 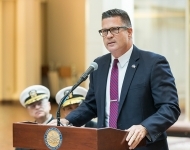 December 7, 2016 - Sen.-elect Regan was honored and deeply humbled to be the guest speaker at a Pearl Harbor remembrance ceremony in the East Wing of the Capitol Rotunda. 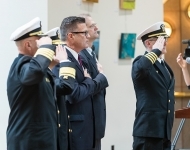 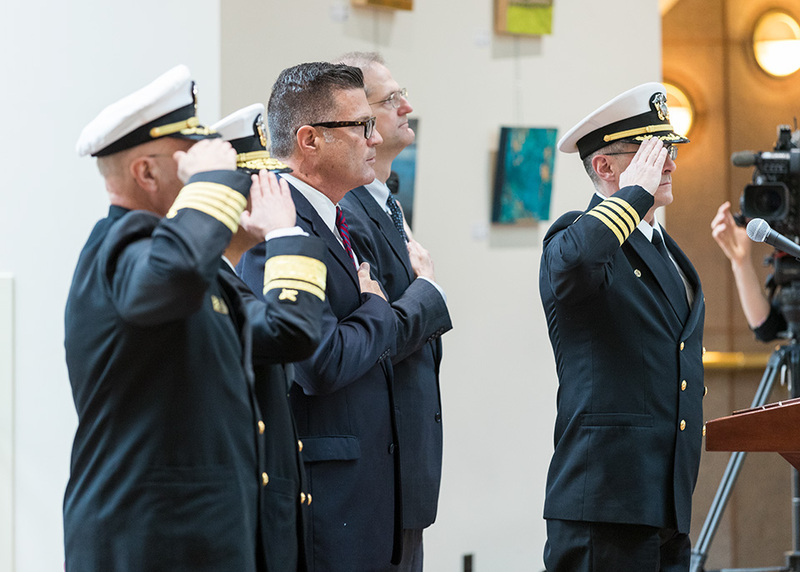 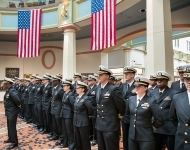 December 7, 2016 - The Pearl Harbor Remembrance Ceremony, marking the 75-year anniversary of that fateful day, included moving performances of the National Anthem, Amazing Grace, and Taps. 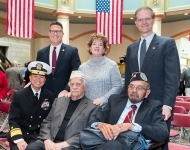 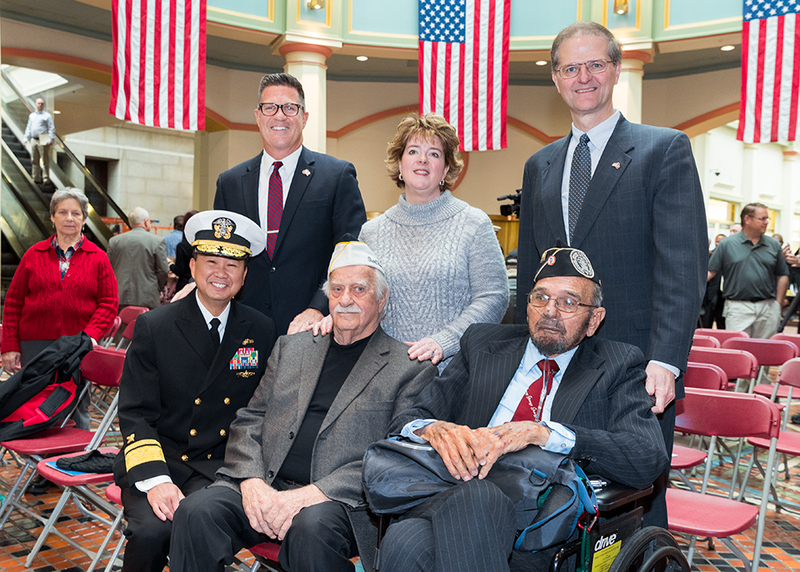 December 7, 2016 - Two Pearl Harbor survivors, George Grove and Isaac George, joined Sen. Regan, Sen. Michele Brooks, and Sen. Scott Hutchinson in marking the 75th anniversary of the bombing of Pearl Harbor. 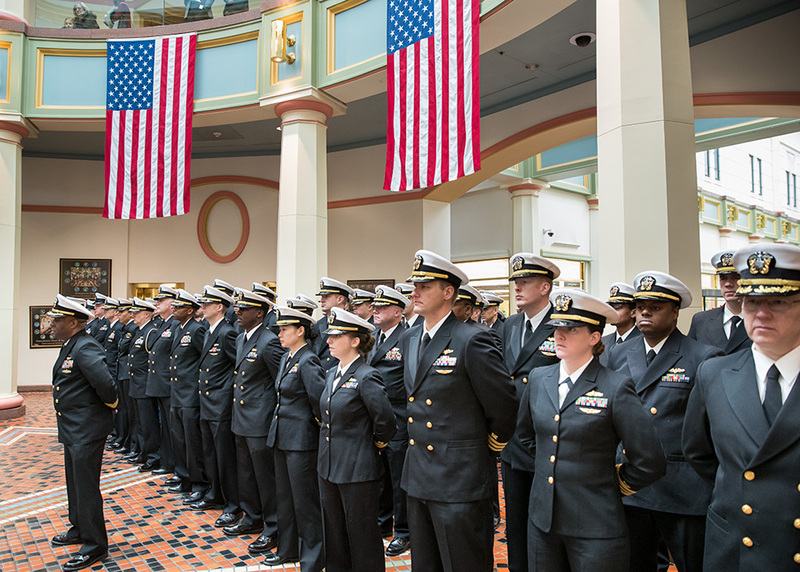 December 7, 2016 - Seventy-five members of the military stood in silent formation to represent the 75 years that have passed since the “Day of Infamy,” December 7, 1941.